Some phones push the boundaries of what mobile technology is capable of. They represent the latest advancements in hardware and software reflected in a product that commands top dollar, but feel as if they've been taken out of a James Bond movie. 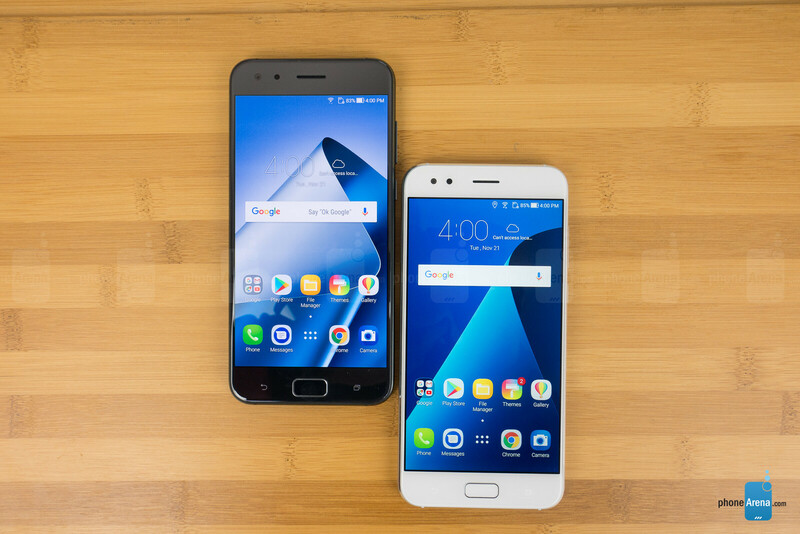 Other phones – phones like the Asus ZenFone 4 and ZenFone 4 Pro – stick to the good old value-for-money approach. While not particularly groundbreaking, both handsets are well spec'd and reasonably priced – at $400 and $600 respectively – topping it off with dual cameras at the back and the promise of "an unparalleled mobile photography experience." So, do the top two Asus Zenfone models do enough to keep our eyes from straying? In short, 2017 can be described as the year of the “bezel-less” revolution, but Asus has yet to take to the new trend. As a result, the two Zenfones look dated. On one hand, we're willing to accept the ZenFone 4 as it is given its price point, but the pricier ZenFone 4 Pro could have a tougher time competing against rivals like the Galaxy S8, the LG G6, or even the OnePlus 5T, at least from a design standpoint. 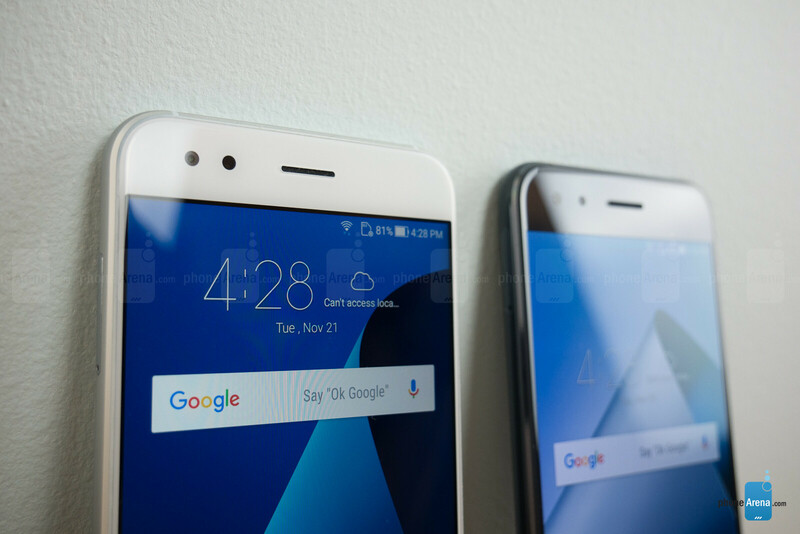 Still, the ZenFone 4 and 4 Pro don’t feel cheap by any means, as they’re both constructed of glass and aluminum. However, both phones are exceedingly plain. 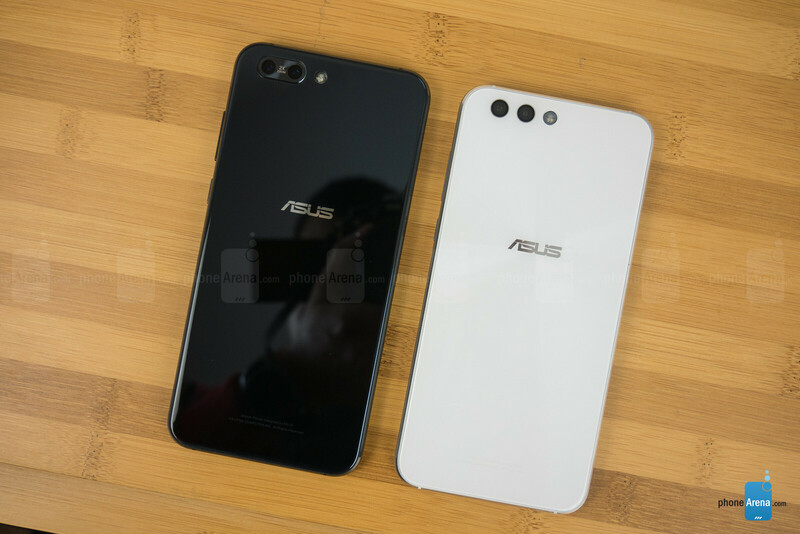 The blue Zenfone 4 Pro takes on a more metallic, mirror-esque finish while the white Zenfone 4 – although not visibly patterned – catches light in much the same way that Asus’ typical concentric circle design used to. Both have a slight pearlescent glow to them, but are a bit bland without the Zen pattern underneath. Looking at these devices from the front is strongly reminiscent of older Samsung Galaxy phones – albeit made from much nicer materials. The fingerprint sensors on both phones are embedded at the bottom, below the screen, and like most of Asus’ implementations, they double as non-clickable home buttons. The Zenfone 4 Pro has a slightly taller sensor than the Zenfone 4 for some reason, but both provide ample space to scan and authorize your print. Both the Zenfone 4 and Zenfone 4 Pro sport 5.5-inch, 1080p displays, though they do differ in more than a few ways. For starters, the Pro uses AMOLED technology. Colors are vivid and punchy, but rather inaccurate, leaning towards the blueish side. Disappointingly, the maximum brightness peaks at just 314 nits, according to our measurements, which hurts outdoor visibility. We've reached out to Asus for comment on why we couldn't hit the 500 nits advertised on the phone's specs page. UPDATE: We were sent a second ZenFone 4 Pro unit to test, and the result we we measured was 341 nits – better, though still far from what other smartphone displays can reach. In contrast, the Zenfone 4 opts for an IPS LCD panel. While colors are more accurate, the whole display appears less dynamic than the one on the Pro. Thankfully, the Zenfone 4 reaches a very respectable maximum brightness level, clocking in at 660 nits. Asus has done a bit of renovation in ZenUI 4.0, which is built on Android 7.1.1. Herein, you’ll find some streamlining as well as a few new features. We’ve never had an issue with ZenUI being slow or wanting for features, but these minor enhancements are certainly welcome. Firstly, the aesthetics have become more uniform and generally more pleasing. It seems Asus may finally be having a Samsung-like coming of age with its UI, tying up certain loose ends, and altogether forming a more cohesive and singular design. The company has always separated itself by offering deep visual customization and endeavoring to bring useful tools through which you can access and manage the power of your device and the software within. It seems in this iteration of ZenUI, the company has made some strides in achieving the latter, as evidenced by a much quicker, more useful, and better-looking device search function, among other visual and functional upgrades. In terms of applications, Asus has added an emergency contact alert feature called Safeguard, a game streaming application by the name of Game Genie, which facilitates streams to the likes of Twitch and YouTube, and a feature called Twin Apps, which installs two copies of your favorite social media apps to accommodate multiple accounts. As we’ve come to expect from Asus, we found using both the Zenfone 4 and Zenfone 4 Pro to be a breezy, slick, and reliable experience. We never encountered hang-ups or lag, and multi-tasking was always effortless. Just as we’ve seen in the past, Asus does an excellent job of making the difference between a Snapdragon 835 and a Snapdragon 630 seemingly negligible in day-to-day use – and we mean that in the best possible way. Of course, a disparity exists when looking at the benchmarks. The Pro certainly makes shorter and more fluid work of intense gaming. The two Zenfones come unlocked, and as is commonplace for such phones, they’re not compatible with Verizon’s or Sprint's networks, but should play nicely with AT&T and T-Mobile. Otherwise, you’ll find Bluetooth 5.0 and NFC onboard the Zenfone 4 and 4 Pro. 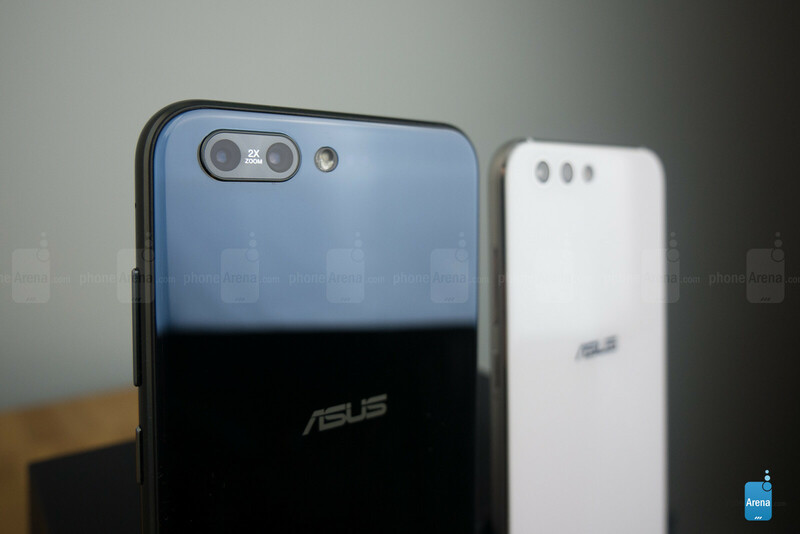 Asus has integrated dual cameras on all members of the Zenfone 4 family, with the Zenfone 4 Pro using a 12MP regular and 16MP telephoto lens setup, and the Zenfone 4 utilizing the same 12MP regular camera but pairing it with an 8MP wide-angle lens instead. Using these cameras is fun and easy, but the resulting images are surprisingly inconsistent. Indoor images taken on the Zenfone 4 are well-detailed, though it does have trouble with color reproduction, creating desperately pale palettes in some scenes. Outdoor exposure is good, as is color capture. Of course, pictures tend to become grainier as the scene darkens, but that's the case with pretty much every phone. Overall, the Zenfone 4 takes decent shots with its main camera. The 8 MP wide-angle camera was useful to have on hand, but images produced from this setup displayed some distortion and underexposure, as well as an overwhelming tendency to let in movement. Don't expect to take masterpieces with this one. The Zenfone 4 Pro maintains the Zenfone 4's proclivity in detail capture, and of course, it also shares the tendency to introduce noise as lighting dwindles. That being said, it still misses pretty badly on color reproduction and even shows a higher tendency to produce colder, blueish images. As surprising as it may sound, we’d choose the Zenfone 4’s camera over the Zenfone 4 Pro because of this, despite the two having the same main sensor. The Pro’s telephoto lens, paired with a 16 MP sensor, was quick and typically adept with focusing. Simply tap the “1x” button, and you’re zoomed in. However, the telephoto camera demonstrates a higher propensity to let in movement. Asus’ Depth of Field mode makes another appearance, this time rebranded and retooled as a toggle titled “Portrait.” The goal, of course, is the same: single out the subject and apply bokeh to the background. What's really interesting here is that Portrait photos can be taken with either the main or the front cameras of the two phones. The Zenfones use facial recognition, which is pretty accurate, to properly trace the subject and selectively apply blur. Results are much improved over the dismal and embarrassingly bad images produced by previous incarnations of this feature, but Asus still has some work to do. While blur was applied well, you can still see streaks along the border where blur is applied to the subject. This isn’t quite a perfect effort yet, but a big step in the right direction. 4K videos out of both Zenfones look pretty good. Details are sharp, although movement stabilization could be better. It seems to be the case that the Zenfone 4 captures slightly better exposure and stabilizes the frame better than the Pro. Calls came through loud and clear on both the Zenfone 4 and 4 Pro. We had no issue hearing our callers and they had no problem hearing us, either. Thankfully nothing major to report here. Previously, we’ve taken issue with the underwhelming battery life in Zenfones. This seems to have been addressed quite noticeably in this particular pair. The Zenfone 4 and the Pro both turned in respectable results in our custom discharge tests, but the Zenfone 4 lasted a full hour longer, dying after about 9.5 hours of continuous testing, compared to the Pro’s 8.5 hours. When their stock quick chargers are used, the Zenfone 4 and Zenfone 4 Pro require around two hours to go from zero to full charge. Asus has turned in another pair of solid devices, but without any killer execution or features to put it head and shoulders above the competition. 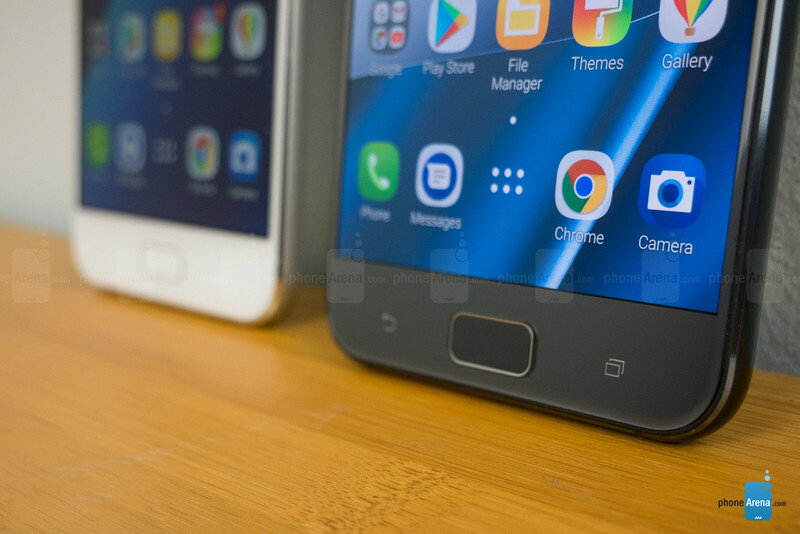 Rather each aspect has shown maturation in its respective area – especially ZenUI. Previously a somewhat confusing and inefficient, though typically quick UI, ZenUI has shown refinement and growth in its functionality and aesthetics. This has also translated to much better battery performance. However, the cameras still have some quirks to be ironed out: color accuracy and low-light performance could certainly improve, especially on the ZenFone 4 Pro. Their secondary cameras, on the other hand, could prove useful in certain situations. All in all, The Zenfone 4 and Zenfone 4 Pro are both improvements over previous Zenfones. The ZenFone 4, in particular, is a solid option in its price point, so we’re pretty confident in saying that there’s never been a better time to try out a Zenfone – especially if it’s the Zenfone 4. If the “bezel-less” look isn’t your thing, but you still want flagship speed and a refined look, then the Zenfone 4 Pro is there for you, but for $600, it's a tougher sell given the camera performance and underwhelming display brightness. They looked like A 2017 series from Samsung.